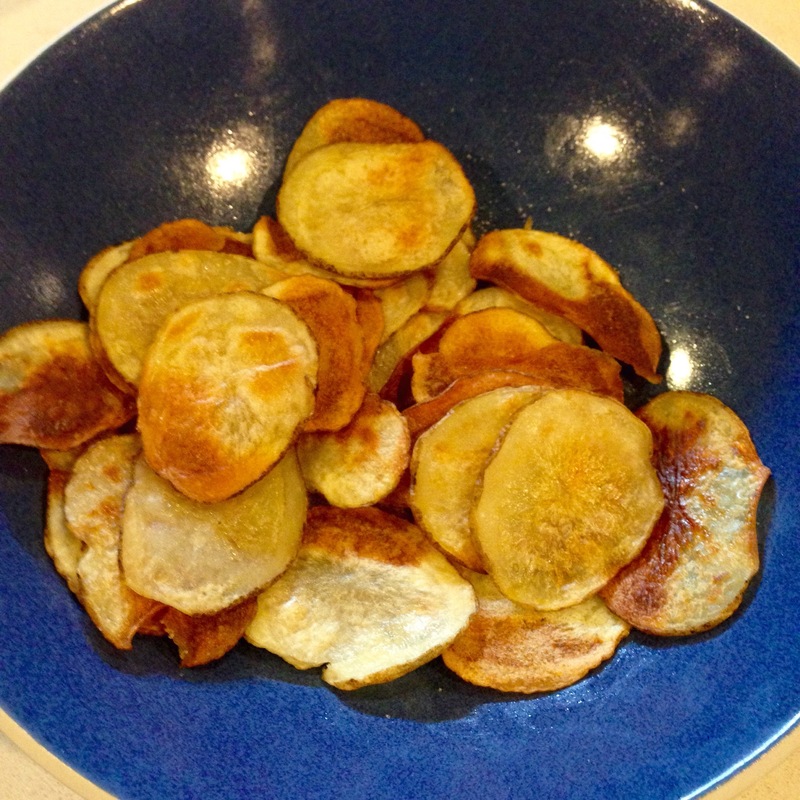 Day 16: baked potato chips! Sorry for not posting yesterday! I’m still recovering from jetlag and feeling the starts of a cold coming on and I went to bed early last night and completely spaced on cooking for the day. Today, however, I made some chips! These were surprisingly easy to make, too! First off, I heated about 3 teaspoons of my garlic with 1 and a half tablespoons of olive oil and then strained the mixture. Next, I thinly sliced all of my potatoes. This would have been so, so much easier with a mandolin, but I ended up doing it all by hand, which I don’t really recommend, as it took ages and made even, thin slices much harder. 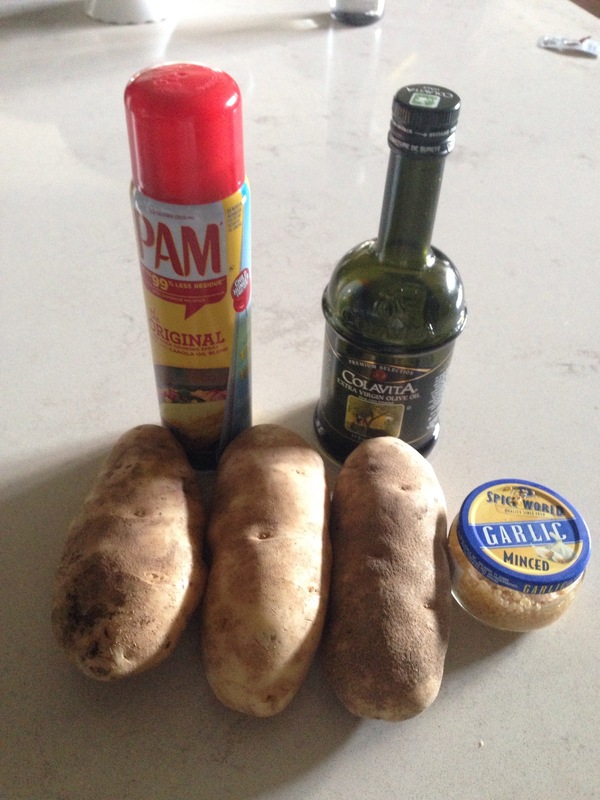 Then, I rinsed the starch off of my potato slices and tossed them with the oil and some salt. I sprayed cooking spray on some cookie sheets and placed the slices on, working in batches and baking for about 30 minutes at 400 degrees. I recommend keeping a close eye on these as they get to the end, as some slices cooked much quicker than others. However, the final product was great- simple and crunchy and salty. This was super fun and makes me want to experiment with more elaborate flavors or even frying my chips properly. For a quickish snack on a summer day, this was a great treat. Next Next post: Day 17: cream puffs with vanilla pudding! That’s so kind! Thank you so much!